We had reviewed and reported in late March about Nintendo’s DS 3D. Well we have an update that Nintendo 3DS will release in major markets by March 31, 2011. Nintendo’s US president Reggie Fils-Aime has confirmed that the device which lets users play games in 3D will be available in Japan, the US and Europe by the end of March 2011. 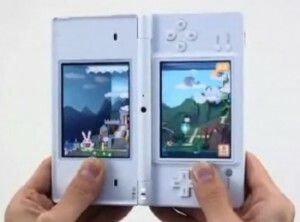 It is also reported that Nintendo can also change the design of the new 3DS. The Nintendo 3DS is also planned to be sold for a profit unlike the Microsoft Kinect which is being sold at a break even price. Market analysts expect the device to cost somewhere around $249-$299 each. The price is inline and competitive with Microsoft’s Kinect and PS3’s Move. More to come as we learn. Why don’t you return it saying you were not satisfied and wait for the 3D one to be out?